Talk about legendary road trip. Road trips can take a few hours in an average run around, a few days in a purpose-built overland machine and then there are those that involve driving Godzilla to Everest Base Camp. Obviously this wasn't a spur of the moment getaway. Singaporean Kah Chuan Hoong's journey was insane and took some shiny brass ones, a Nissan GT-R, a camera and lots of fuel. It was 18 months of planning for KC to get to the Tibetan north face base camp near the Rongbuk Monastery. 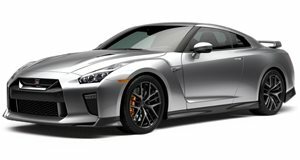 A long road that's never been done in a car like a Nissan GT-R, or any other sports car. Tibetan guide Lhakpa Tenzin says this is the first GT-R, or any supercar, to ever make it to EBC. On the drive, the roads were OK in some places, and terrible in others, a few parts were bad enough to force KC to take the long way back home instead of taking the roads between Basu and Nyingchi, this meant an extra four days via Qinghai, Lanzhou, Sichuan, Yuannan, Thailand and Malaysia. The plan is to be back in Singapore by mid-November. How's that for an awesome road trip? It sounds straightforward when he says: "I drove westwards on the G318 highway" but the trip totalled just over 4500 miles one way, from the Singapore starting point to Everest Base Camp. There are three way to get to China, through Myanmar, Laos or Vietnam and KC opted for Laos, which we guess may have less political unrest along the way. KC's bucket list has just increased tenfold after this epic trip. KC also says he's new to Facebook and only really created the account as an easy way to keep his family up to date on his trip, but we think he'll be using it a lot more now after the exposure and the following he's quickly amassed. The post received over 6,000 likes and 4,300 shares. Seriously, a trip of a lifetime!